In a “Red Rose Rescue,” Franciscan Friars in New Jersey were arrestedat an abortion clinic. 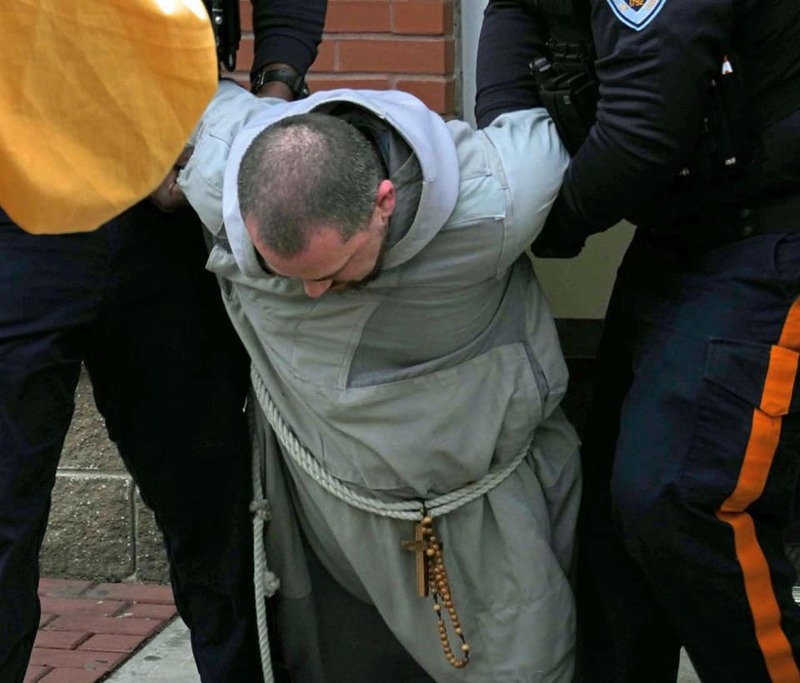 In Trenton, New Jersey, brothers from the Franciscan Friars of the Renewal were arrested at a Planned Parenthood abortion clinic. Inside the clinic, they handed out red roses with a card attached. The card read “a new life, however tiny, brings the promise of unrepeatable joy,” with phone numbers for pregnancy care centers. Father Fidelis Moscinski and three other red rose rescuers participated, giving women and couples there words of encouragement. It was noted that one couple scheduled for an abortion left the clinic while they were there.